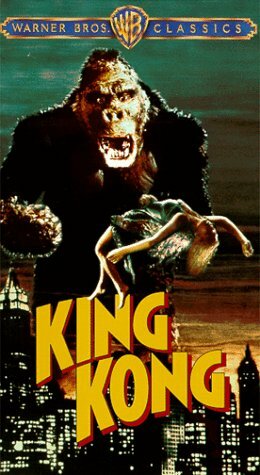 As a reminder that Cinema has always loved the event Movie, I thought it would be interesting to review the original King Kong. Peter Jackson’ spin on the tale is true to the plot of the original and uses the latest CGI to bring the story to life, but at its heart it is the exact love story, of beauty and the beast that provides the true meaning within the original version. This classic monster picture was from the school of cinema that still drives viewers in their millions today; the desire to be scared and shocked was just as true in 1933 as it is over 70 years later. When you look at a vintage production (such as Nosveratu) the social standing and feeling of the time can often be used to demonstrate why a film is crafted in a certain way. To a certain extent, this does not apply to King Kong as it was such a trend setting picture that it helped to define modern cinema. The score by Max Steiner adds a wonderful John Williams depth, and the stop motion visuals are extraordinarily Cinematic, even by today’s standards. Fay Wray is our heroine hired by Robert Armstong to star in a surreal film that he is making. The backdrop of that movie is to be a mysterious island that habitats for the “monster” Kong. Soon Kong kidnaps our heroine. He inevitably is captured and taken back to New York where he is put on show for all to gasp at. He soon escapes and creates chaos all over the city. I like the remake but the DVD of the original is for film fans; all the rest can watch the Dolby, CGI visuals, and go away from the cinema impressed, but missing the real point of the film.